WORKSHOP: Photography Workshop for Business... Make Your Images Pop! 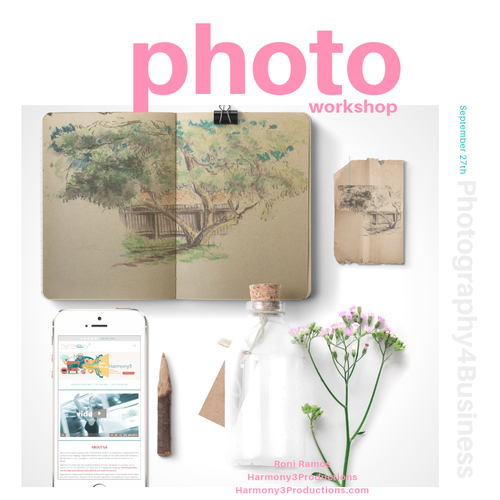 Photography Workshop for Business… Make Your Images Pop! Lights Camera (or phone) Action! How to tips to create better photos for Social Media! We’ll look at lights, apps, flat-lay set-up, filters and so much more! As a bonus I will be sharing my favorite apps to add an extra sparkle and make your still image move…as in a gif! Better photos can mean better engagement with your customers AND find new followers for your service or brand. Join me for tips, apps, and a hands demo, this is the fun stuff! • Hands on photography demo,lighting and composition tips!